It’s not clear if or how Google will use the technology, but Brian Behlendorf, an expert on the technology, think the company will offer a blockchain product through its Google Cloud service. Blockchains are designed to be decentralized, but one that’s linked to a public-cloud service could actually make sense, Behlendorf said. “Like many new technologies, we have individuals in various teams exploring potential uses of blockchain but it’s way too early for us to speculate about any possible uses or plans,” the Google representative said. Fortunately, it doesn’t take inside information to imagine what Google may have in store. 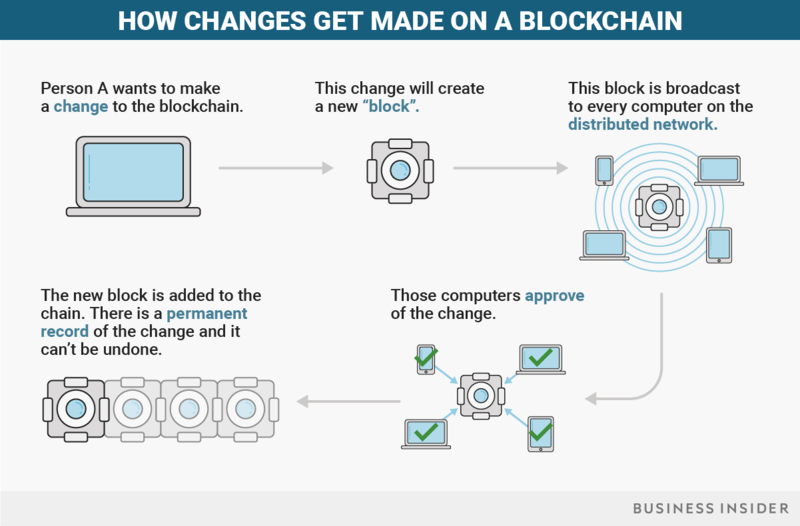 Indeed, thinking through how Google might use blockchain technology is something Brian Behlendorf, executive director of the open-source blockchain project Hyperledger, has been doing a lot lately. Behlendorf’s hunch? Google’s going to offer blockchain technology as a product available through its Google Cloud service. Just as Google Cloud customers today can easily set up databases through the service or use it to access Google’s machine learning technology, they might be able to someday set up a blockchain through it. Behlendorf doesn’t speak for Google. But he’s in a good position to speculate on what it might do. His organization, after all, works with companies including IBM and Oracle to develop their enterprise-grade blockchain offerings. Google could potentially develop a blockchain system from scratch. But that could take a lot of time and resources, so the company might just use one that’s already been developed, potentially even one from Hyperledger. Hyperledger has two different open-source blockchain systems — Fabric and Sawtooth — that it offers for enterprises to use for their projects. Either way, its service would likely allow Google Cloud clients to set up a blockchain ledger and authorize different users — or nodes — to make entries on it. “The basic idea is you might take something like Hyperledger Fabric or Sawtooth and go to a company or set of companies and say, ‘We will set up your nodes on a permission ledger for a fee,'” Behlendorf said. Strategically, it would make sense for Google to add a blockchain product to its cloud service. Google’s cloud-related products — which include Google Docs and a broad range of other services — account for $1 billion in quarterly revenue. 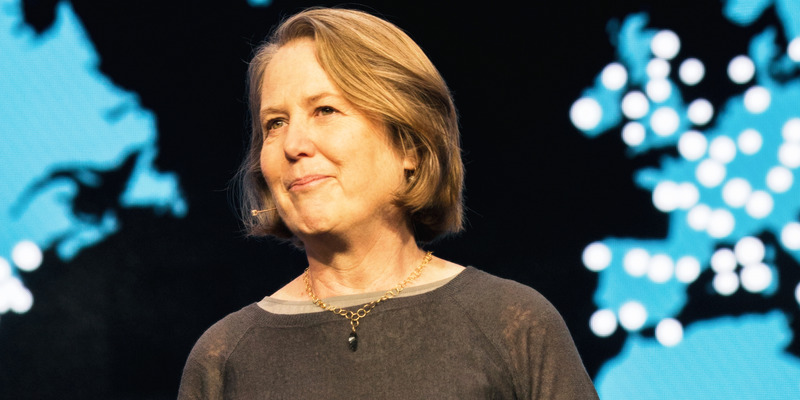 But Google Cloud itself is in third place in the cloud-computing market, trailing behind Amazon Web Services and Microsoft’s Azure, and it could use something to help set its service apart from the leaders. Hosting a blockchain product on a public cloud service may sound strange if you know something about the digital-ledger technology. One of the big selling points of blockchains is that they’re decentralized. Exact copies of blockchain ledgers are stored in multiple places, typically on different computers or nodes. In the case of bitcoin’s blockchain, the number of nodes is in the thousands. A change to a ledger won’t be recognized unless multiple nodes agree on the change. Despite that apparent contradiction, Behlendorf said users shouldn’t be worried about a public cloud-based blockchain. Just because a blockchain may start in a public cloud doesn’t necessarily mean it can’t be decentralized. Indeed, if Google offers a blockchain product through Google Cloud, it likely will embrace decentralization and allow customers to set up nodes for their blockchain ledgers elsewhere, including on other public cloud services such as AWS, he said. That may seem counterintuitive that Google would allow its blockchain product to be accessed through competing cloud services. But it would almost have to offer that flexibility, Behlendorf said. After all, many businesses operate worldwide and will want their blockchains to be accessible wherever they operate, but Google Cloud isn’t accessible in China, because the country bans Google. Besides, the main reason for decentralization is to ensure trust among parties that don’t know each other. You may not know who’s operating a particular node on the bitcoin blockchain, but you can trust that the person has an unadulterated copy of the ledger if it matches up with those on every other node in the system. But public cloud services don’t have the same bar for establishing the trust of users. People already know Amazon, Microsoft, Google and trust their services. If you would use a cloud service to store information about your business, you should feel comfortable putting a blockchain on it as well, Behlendorf said. In fact, it’s already happening. While neither AWS or Azure offers a blockchain product, people already host blockchains on those cloud services, he said.